There is nothing quite as heartwarming as a letter written out of obligation. As these parents must have been very happy to learn, their son was doing just fine and that “Everything is as usual” in Santa Cruz. Maybe kids haven’t changed so much after all..? 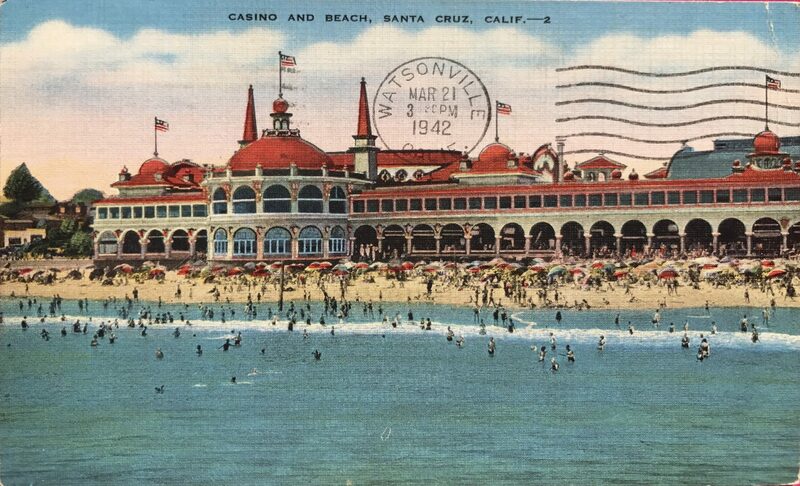 For many years, Santa Cruz Beach has been a favorite vacation spot for the thousands who come to enjoy surf bathing and other water sports and the cool breezes from the Monterey Bay and Pacific Coast. 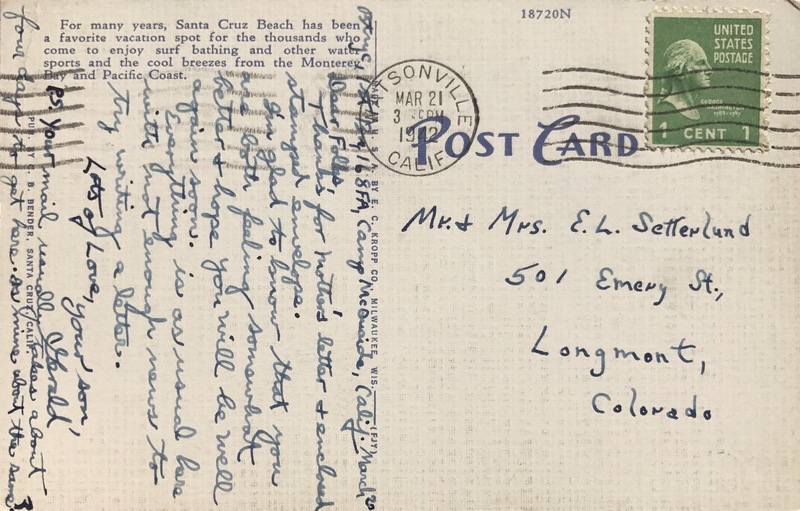 Thanks for mother’s letter + enclosed stamped envelope. I’m Glad to know that you are both feeling somewhat better + hope you will be well again soon. Everything is as usual here with not enough news to try writing a letter. P.S. Your mail usually takes about four days to get here, is mine about the same?